After supper we all retired for bed and I had a sleep not exactly without interruptions from the few professional snorers who happened to be in the room where I was hoping to get a good night’s sleep. As is my usual routine on the Camino I tend to wake up at around 2 or 3am, stay awake for about half an hour, and then drift back into a semi-deep sleep until around 6 or 7am. 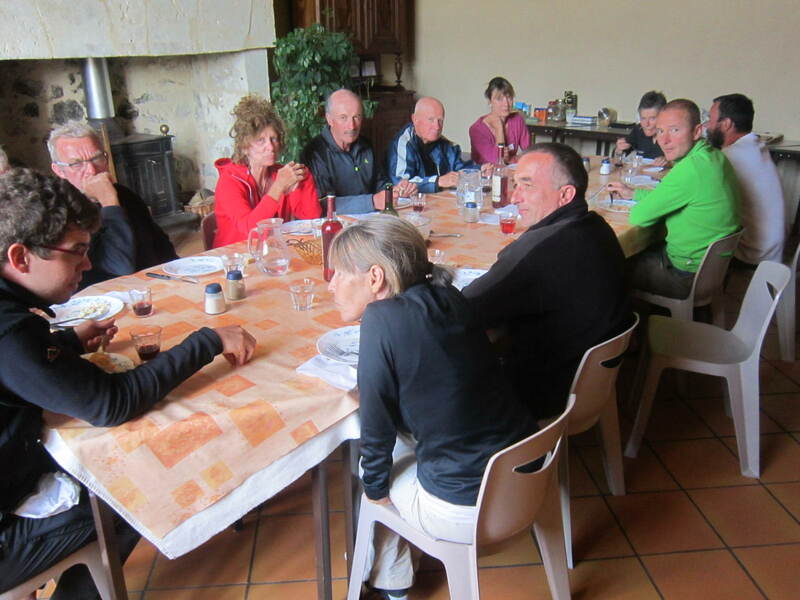 In the morning breakfast was served and we all said our goodbye’s to each other as one by one each of us left to hit the path for the day’s walk ahead. 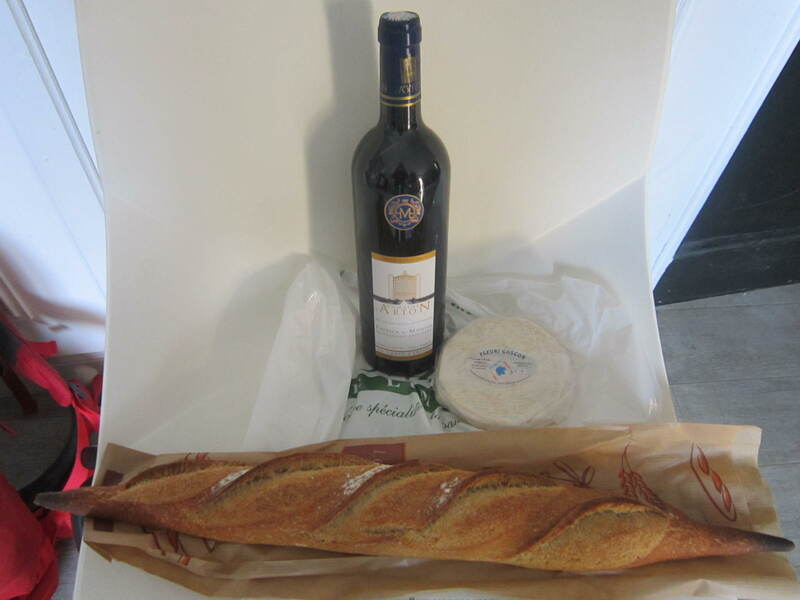 In total it all came to around 11 Euro so I’m happy that I have some great products from the region (the holy trinity of bread, wine and cheese) and at a price which reflects my planned daily budget. It is another lovely blue sky day ahead and I’m off now on the way to the next big town: the town of Condom, which is about 35km away. Good to see the pilgrimage is going very well! Wish I could join you for part of the journey. Don’t forget to stock up on local products from Condom when you get there.